Sharing the Salad Bowl – this item has become one of our best sellers. 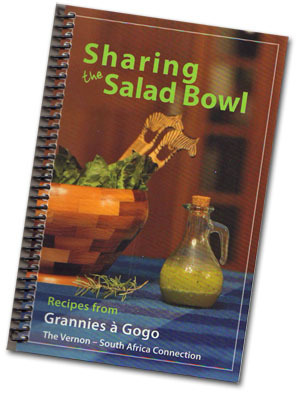 More than 70 salad recipes, all tried and tested, along with full colour photos and clear instructions. Spiral bound for ease of use. Index cross references ingredients as well. Salads, dressings, salad wraps, biscuits, serving suggestions and more!